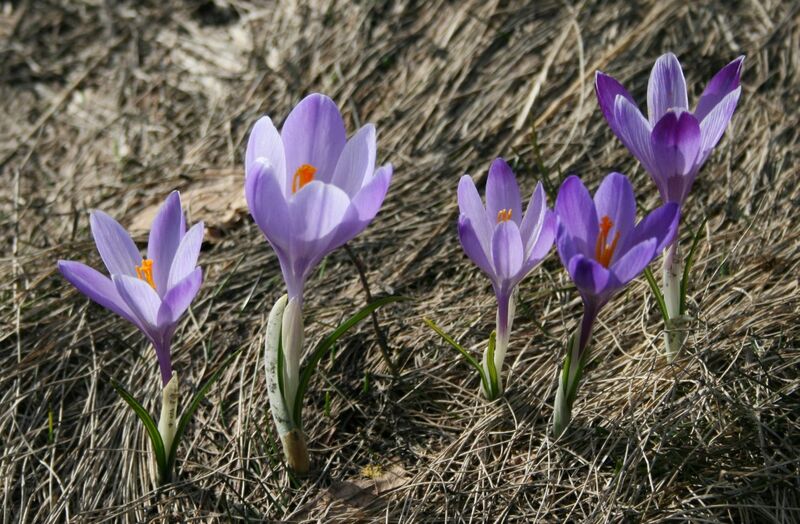 Crocus vernus is a perennial monocotyledon, spring ephemeral, about 10 cm tall, from corms, colonial from corm offsets. Leaves linear, stiffly erect (until senescence), with a prominent white midrib. 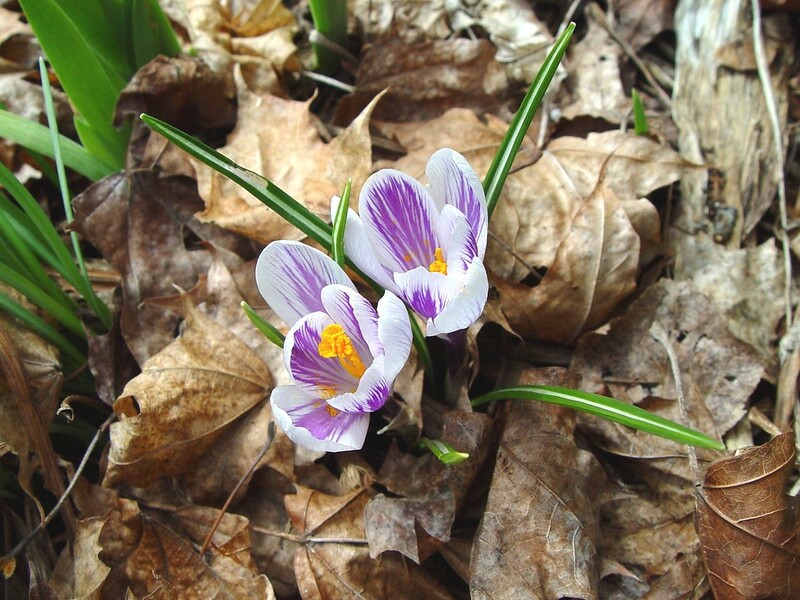 Crocus vernus leaves and flowers. By Arthur Haines. Copyright © 2018. New England Wild Flower Society. gobotany.newenglandwild.org (Accessed 2/2018). Flowers white to dark purple or white with fine purple stripes, anthers lemon-yellow, stigma red-orange, petal tube, narrow at base, surrounded by a single white bract, petal lobes 6, large, spoon-shaped, ovary below ground, blooms Feb.-March. Fruit a pale capsule at or below ground level, early summer (Bailey 1976). Plant goes dormant by early summer. Habitat: Escaped from cultivation or planted in natural areas.